Nina Antanovich is a Candidate of Political Science and holds the position of Associate Professor at the Department of Political Science. She graduated from the Belarusian State University, Philosophy Department in 1987. Nina Antanovich joined the BSU in 1992, there she took a post-graduate course. Her dissertation «System Approach in Political Scienсe» was defended in May 13, 1998. 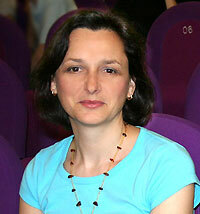 In 2000 she was awarded the academic title of Associate Professor. Her main teaching and research interests focus on questions of Political science methodology, Concepts and Methods, Political analysis, Public Policy and Public Administration, Public Bureaucracies in Developing Societies. She lectures on Political Science, Political science methodology and methods, Political systems theory. N. Antanovich is the author of over 100 papers, published in national and international journals. Her recent publications are as following: «Policy and Political Analysis as a Sphere of Research and Professional Activity» (2008), «Modern Political Science: World and National-State Measurements» (2009), «Historical and Cultural Environment in the Nation-State Building Processes and Modern Political Development in the Republic of Belarus» (2010), «The Prospects for Network Approach in the Political Science» (2010), «E-government as a Tool of Public Administration Transformation: Research Methodology» (2010). 1. Policy and Political Analysis as a sphere of research and professional activity. The article is devoted to the specific process of constitution of Policy and Political Analysis in the USSR, The Republic of Belarus, Russia and Western countries. The key state policy analysis centers are analyzed. Some features of Political and Policy Analysis institutionalization are revealed. 2. Modern political science: world and national-state measurements. The article is devoted to the specific process of constitution of Political Science in the Republic of Belarus. Nation building and state building processes compose the basis for the national Political Science. The specific periods and peculiarities of the Political Science institutionalization are revealed. The key state policy analysis centers are analyzed. 3. Historical and Cultural Environment in the Nation-State Building Processes and Modern Political Development in the Republic of Belarus. The attempt to understand the processes of Modern Political Development in the Republic of Belarus in connection with Historical and Cultural Environment are undertaken in the article. The survey of relevant publications on the Historical and Cultural peculiarities of the Belarusian nation-building processes is made. The Belarusian political and cultural identification is connected with some special features: difficulties of historical way, broken off cultural traditions, geographical position at cross roads between East and West. The Belarusian nation-building processes are connected with state interests realization and political elites evaluation. 4. The Prospects for Networking Approach in the Political Science. This article gives the analysis of basics for a forming of the social and policy networks in the political processes. It is also emphasizes the importance of political, social and other policy networks upon conditions of modernisation risks in modern society, the growing role of communicative factors. The importance of cognitive mechanisms of integration of the policy networks are discovered and revealed. 5. E-government as a Tool of Public Administration Transformation: Research Methodology. The article is devoted to research methodology of E-government as a tool of Public Administration transformation. ICTs can help reinvent government and new innovative arrangements and the way for a transformed government. In the article it is shown that according to Global E-Government Readiness Reports, a quantitative composite index of e-readiness is based on website assessment, telecommunication infrastructure, and human resource endowment. The author makes conclusion about Evolution of Approaches to Public Service Delivery: from Traditional Government to e-Government and then to Connected Government. Кафедра политологии - Кругловой Галине Анатольевне! с Юбилеем!